The McGill Music Library’s collection of 19th century French sheet music contains over 19,000 pieces ranging from the 1820s to the early 1900s. Comprising genres from the romance to the mélodie, as well as chansonnettes and chansons from the earliest cafés-concerts in the 1840s-50s to those pieces sung in the music-halls beginning in the 1860s and even in the cabarets artistiques in the 1880s, the collection offers scholars an exceptional opportunity to trace the origins and development of these popular music genres and sub-genres. White, Kimberly and Leive, Cynthia. 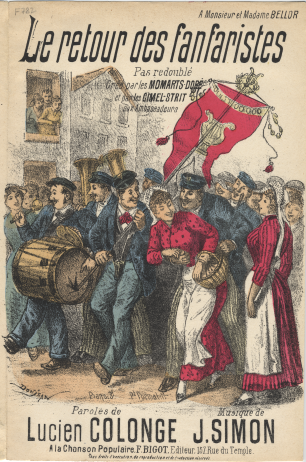 “From Salon Romance to the Café-Concert Chanson: 19th-Century French Networks of Music Promotion and Consumption.” CAML Review/Revue de l'ACBM, 41, no. 1 (2013):34-42.